From it's stunning coast to its magnificent ancient caves and temples, Maharashtra is a sensory delight for all culture and nature lovers. Lush forests, serene beaches, mighty lakes, and dense wildlife, all of its elements come together to make it an excellent destination for culture and nature loving wanderers! Drive down the beautiful coast, explore the caves of Ajanta and Ellora, experiences its enthralling wildlife, or cruise through its rich wine country, Maharashtra offers a wide range of experiences to its visitors. The Lake-side Home is a delightful experience for wanderers who love charming spaces, lush greenery, lakes and heart-warming hospitality. A highly recommended experience for groups of friends and families (6-15 travellers) looking for a charming weekend getaway from Mumbai and Pune. Surrounded by lush fields and orchards, with gorgeous skies and stunning landscapes, this campsite is a refreshing hideaway close to nature. 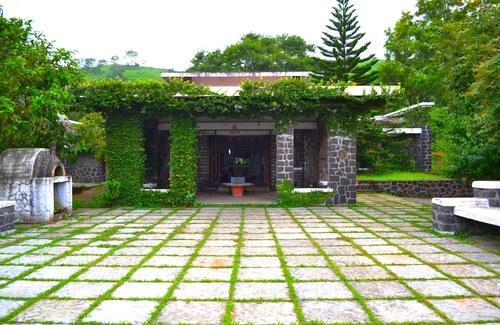 The place is ideal for travellers, especially families, looking for a quick and adventurous weekend break from Mumbai and Pune. A highly recommended long weekend break from Mumbai, Pune and Goa for couples, solo travellers and families who love stunning surroundings, delicious food and warm hospitality.